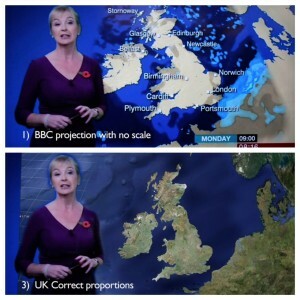 Last week’s post closed with the reflections of the Scottish Falsetto Sock Puppet Company on the nature of the BBC weather map. This isn’t an original problem, of course. Africa’s got it a lot worse. There’s a summary of some of the problems and approaches to mapping here. 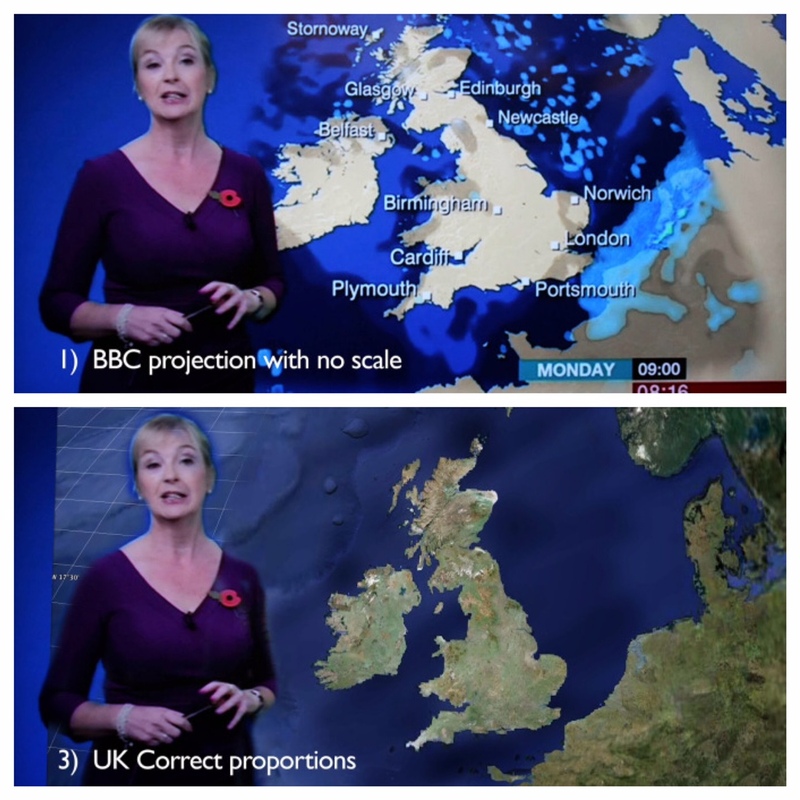 Have a think about what projections of the globe you like, and then find out why Randall xkcd hates you here. ‘What’s this got to do with strokes?’ you might ask. If you’ve not been here before.